In August, inmates renewed protests against solitary confinement and racially biased sentencing. Jose Villarreal is not a religious man, but if he were, the 10 years he spent in solitary confinement in a windowless 7-by-11-foot cell inside California’s Pelican Bay State Prison would have qualified as hell. He remembers the strip searches, the beatings and the outdoor telephone booth cages where guards would lock prisoners in 30-degree weather wearing only their boxers as a form of punishment. Those types of abuses would eventually spur the nation’s largest ever prison hunger strike, in 2013, when an estimated 30,000 prisoners across California refused food. 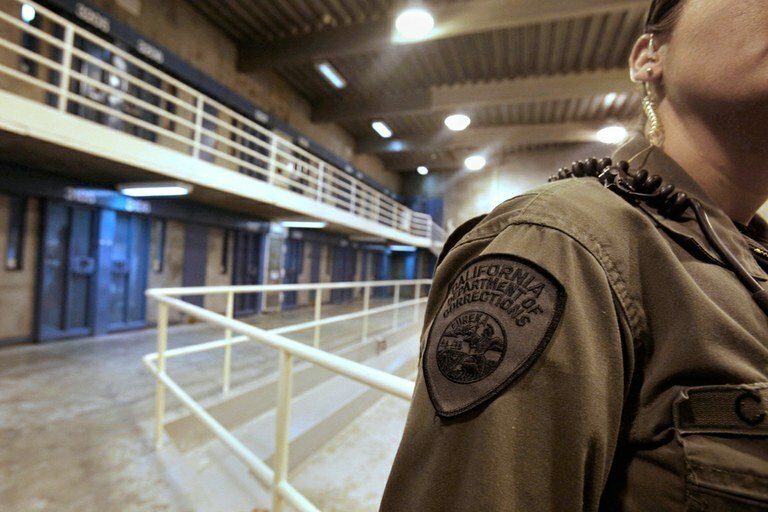 A correctional officer is seen in a 2011 photo of one of the housing units at Pelican Bay State Prison near Crescent City, California. THE CALIFORNIA STRIKE eventually led to the release of more than 1,000 prisoners from the Pelican Bay SHU, but as a whole, the U.S. criminal justice system remained largely unchanged. On Aug. 21, prisoners in at least 20 prisons across the country tried to pick up where those efforts left off with a series of work stoppages, hunger strikes, and boycotts of prison commissaries to protest many of the same conditions that Villarreal experienced. Officially, the latest strike ended Sept. 9, but prisoners at several facilities have continued their actions. Their demands echo across a region where prisoners fight deadly wildfires, private detention centers profit from locking up undocumented immigrants, and the business of incarceration has become a form of economic development for struggling rural towns. For Villarreal and the millions of others who have spent time behind bars, this landscape of imprisonment is as much a part of their West as its mountains, forests and deserts. Using contraband cellphones and help from outside activists, organizers with Jailhouse Lawyers Speak and the Incarcerated Workers Organizing Committee (IWOC), a labor union for prisoners, spread word of the strike on social media. Their list of demands calls for improving living conditions inside America’s prisons, ending racially biased sentencing and parole decisions, better pay for those who work and increasing access to rehabilitation. It’s difficult to know the full scope of the strikes given the culture of secrecy in America’s prisons and the threat of retaliation from prison officials. But in the West, there are confirmed reports of strike activity at facilities in Washington, California and New Mexico. ACCORDING TO IWOC Denver organizer Clayton Dewey, the strikes are a symptom of how the U.S. incarceration boom has failed people — particularly those in rural communities and people of color. Throughout the ’80s and ’90s, the U.S. underwent a prison-building spree concentrated in rural areas, which coincided with tough-on-crime laws that targeted minorities for petty drug and gang-related offenses. Today, throughout the West, people of color are incarcerated at much higher rates than whites, breaking up families and exacerbating economic and social inequality. 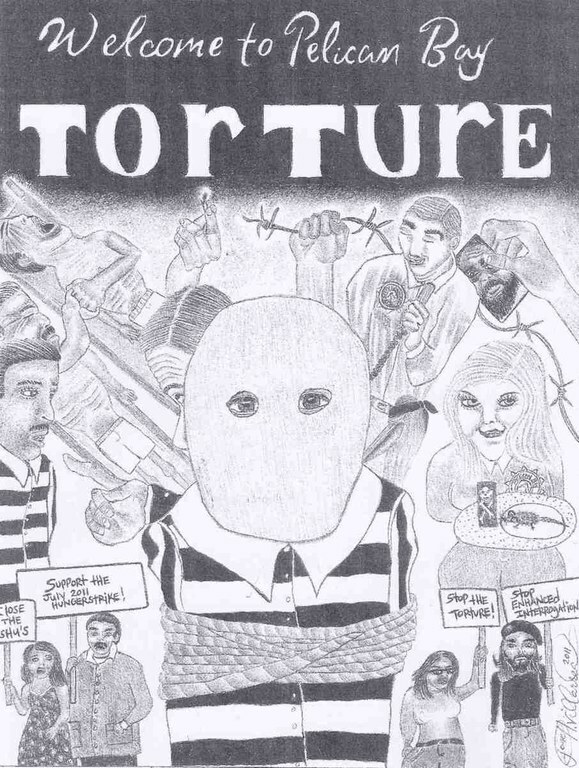 Jose Villarreal survived the 10 years he spent in solitary confinement at California’s Pelican Bay State Prison partly through creating art, including this piece. Meanwhile, as the region endures one of its driest, hottest years on record, prisoner labor is becoming common: Between 30 and 40 percent of those battling California’s deadly flames this summer are incarcerated. They are paid just $1 an hour plus $2 per day, thanks to an exemption in the U.S. Constitution’s 13th Amendment, which abolished chattel slavery but allows involuntary servitude as part of a punishment for a crime. “It’s a huge part of the regional economy that’s not talked about,” said Erik Loomis, the author of four books on U.S. labor and environmental history. Nationwide, roughly a third of the 2.3 million people incarcerated have prison jobs. Still, the problem, Loomis says, is less about the work itself — which many prisoners are not opposed to — than about the paltry wages and lack of protections they receive, creating yet more incentives to keep locking people up. LIKE OTHER PRISONERS held in solitary confinement, Villarreal never had the opportunity to work, but he shared his family’s long history of incarceration: Villarreal’s grandparents, parents and siblings have all spent time behind bars. He was 10 when he had his first encounter with a police officer, who suspected him of being a gang member, and 12 when he was arrested for vandalism and sent to a juvenile detention center. From that point on, Villarreal would be incarcerated or on probation for the next 32 years of his life. It’s not clear yet how big of an impact the current strike will have on the criminal justice system. The 2013 California hunger strike led to a successful lawsuit that drastically reduced the use of indefinite solitary confinement throughout the state’s prison system, but other strikes have been less successful. Still, solitary confinement continues to be a common response to disturbances inside Colorado prisons. Last month, a group of prisoners at the Sterling Correctional Facility began a hunger strike, demanding, among other things, an end to the continued use of isolation as a form of punishment. “This is our final hope at some sort of relief,” one of the prisoners wrote, announcing they would refuse to eat until their demands were met.